...The Kingdoms of this world are become the Kingdoms of our Lord.... Amen. (Rev.11:15 KJV): WOW!!! RESULT OF QUIZ COMPETITION!!! I welcome all of you once again for coming and also for participating in the quiz compitition too. God bless you. Now the answers to those questions are as follow: from questions 1 to 17 the answers are all A. from question 18 to 20, the answers are all B. Wow!!! Yes all the participants have their own unique ways of answering the questions but before I announce the winner, I must say and so impress with one of the participant, especially the unique ways of backing up almost all her questions with Bible portion. Indeed she is a WORD BASED CHILD OF GOD. But I hope she will make us proud as we compile the result. HE SIAD HE KNOWS ALL THE ANSWERS BUT NEVER ANSWERS EVEN ONE. LOOL!! With a shout of joy, let us all welcome our winner! She is a goal-getter, a passionate writer, a motivational speaker, positive-minded, muti-talented and ofcourse a God lover who likes to mingle. Wow! With Jesus Joy let welcome Gloria Okaiman! Wow! Gloria is not just the winner but she has been promoted to the Level! Gloria is now the Assistant Pastor of Welcome Wisdom Blog. Please with a shout of joy let welcome our Assistant Pastor (MRS) Gloria OKaiman!!! 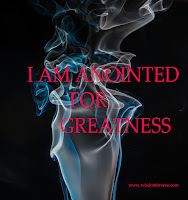 www.trendwithgloria.com that’s where she blog and the Monday inspiration message she post today is Power-Packed. And the post of the women leader goes to Bolatito Fashina (Bolateethole.blogspot.com) and of course she needs assistant because that is not just an office and the assistant is Miriam Ezeka! www.beinspiredwithmily.com) The secretary in that department is Mimi chinonso (Www.miimisdiary.com). Carina Jacobs(www.ckjacob.com) is in charge of youth department. The assistant is Alabekee Ola (www.alabekee.com). The secretary is Nma Ojike(http://www.nmaojike.com/). With a shout of joy let all welcome the president of men fellowship; he is no other person than our beloved brother Uthan Saheed. Please it pays to serve the Lord. Only God can reward us. Let come together and worship God. We are all members of the intercessory Group and the leader of that Group is the Assistant Pastor, Gloria Okaiman!! GLORIA YOUR PRIZE IS A RECHARGECARD: THERE IS MTN 750 OR ETISALAT 500. MAKE YOUR CHOICE AND TEXT ME YOUR E-MAIL ADDRESS OR LET ME KNOW HOW YOU WANT TO RECEIVE THE PRIZE!!!! yes!!! the spirit of God is right here Chinco bee. they that Worship God must worship Him in spirit and in truth!! congratulation Chinco bee, and now as the secretary of the Blog, I believe you have something to say to our readers. please kindly send it to lus4love@yahoo.com and I will gladly post it. Congrats Asst. Pst. Glo...sha if the spirit asks you to redirect your prize, you know where to find me. Nma, am expecting to hear from you as regard your post as the youth secretary. okay pst. Glo Okaiman how do i send the card please? Hello Pam, how are doing, god to have you here!!! God bless you! you will never be stranded in Life! your doors shall be continually open...God will extend His Peace to you like a River!!! thank you very much and once again am saying congratulation Alabekee!!! please check your phone have sent Mtn 750 to 08124315055 please confirm. Thanks love got it. More grace upon you.. I really do appreciate..
pst. Gloria, you are welcome!!! thanks for accepting!!! Omg?! I love it here. .hehehe. as per the women leader, we will be having our first meeting on Sunday. Congrats Gloria, we must to share the "Richard card "
Chincobee with all the sleeping for church you no sabi, hian. Gloria is my new friend biko. I need to join the intercessory group. Am happy for you! bolatito fashina, Congratulations!!!! na you gain ground pass all of them...The queen and the women leader of all. Hahahahahahahaaaa wow really. It's so lively here. Lucy you are such a darling. Congrats to Gloria, the senior pastor. Lol. And congrats to me too. Yay! Epic fail - girl pissed off...dress looks different on her than on model. thank you very much Miriam Ezeka for accepting your post, God bless you. Amen. Its a nice thing going on here...You make it looks real. hahahah uthman saheed is real, as real as Heaven is real!!! I pray God to open the eyes of your understanding, in Jesus' Name Amen. then the LORD put forth his hand, and touched my mouth. 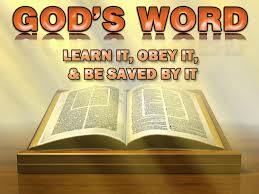 and the LORD said unto me,, behold i have put my words in thy mouth. God bless you For visiting us. you are highly favour!